This homey restaurant will immediately make you feel comfortable the minute you walk through its inviting doors. Boasting views of the beautiful St. Spyridon Church, Oinos kai Geuseis is known for its impeccable service and laid-back atmosphere. Featuring Greek and Mediterranean cuisines, there is something for every taste at this charming locale. Guests enjoy a myriad of tapas, fried fish, and creamy cheesecakes. This family restaurant features a cozy atmosphere that is perfectly reflective of the island of Corfu. There are not many tables so be sure to book in advance for the best seating times. If you are lucky, you may even snag one of the coveted outdoor patio tables. Guests rave about the carrot soup with lentils, the authentic fig tart stuffed with goat cheese, and the homemade pasta selections. Anthos serves up fresh food that is perfectly complemented by the extensive wine list. Located in the charming Old Town section of Corfu in Kremasti Square, this romantic restaurant is situated around a 17th-century well. A seasonal menu guarantees that you will always enjoy the freshest food available. Diner favorites include the creative pasta dishes, slow-cooked veal cheeks, fresh salads, and much more. The Venetian Well makes an ideal special occasion meal for your trip to Corfu. Conveniently located just off of Spinada Square, this Italian restaurant features an elegant atmosphere balanced with comfort food. Chef Nino serves up fresh mozzarella piled high on the handmade pizzas or choose from one of the many pasta dishes. Finish your meal with a selection of mouth-watering Italian desserts such as tiramisu, panna cotta, or chocolate soufflés. No Italian meal is complete without a choice of one of the many wines, limoncello, or prosecco options. This casual tavern is conveniently located in Corfu Old Town, making it the perfect place to grab a quick lunch or stay for a leisurely dinner while exploring this Greek paradise. A varied menu offers a myriad of selections in a casual atmosphere. This affordable tavern features everything from pasta to fresh seafood selections to traditional Greek cuisine. 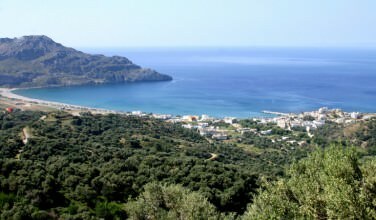 Taverna Diporto is an ideal place to escape the tourist crowd and connect with the Corfu locals. Corfu has something to satisfy any appetite. 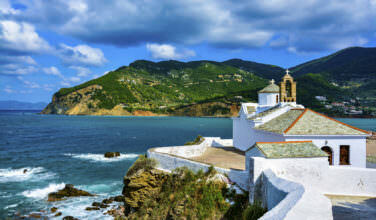 Any trip to Corfu should authentic food and drink. 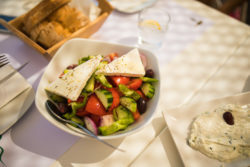 Be sure to make the eating and drinking part of your whole Greek island travel experience!